It’s high time for yet another celebration of cannabis culture — that’s right, April 20 (or 4/20) is coming up once again. In the spirit of puffing and passing, it may be a good idea to pay homage to the historical significance of that good ganja by sitting back, relaxing and enjoying Netflix’s new documentary. Now, not only is the popular streaming network diving into marijuana’s cultural relationship with the music industry, it is also tackling its criminalized history in the United States. The very same strain that contributed to some of the best work from your favorite artists was also used toward the propaganda of a racist nation hellbent on marginalizing people of color. In Fab 5 Freddy’s directorial debut, Grass Is Greener features music heavyweights such as Damian Marley, Chuck D, Killer Mike, and more. Not to mention, the King of Weed Westeros, Snoop Motherfucking Dogg. 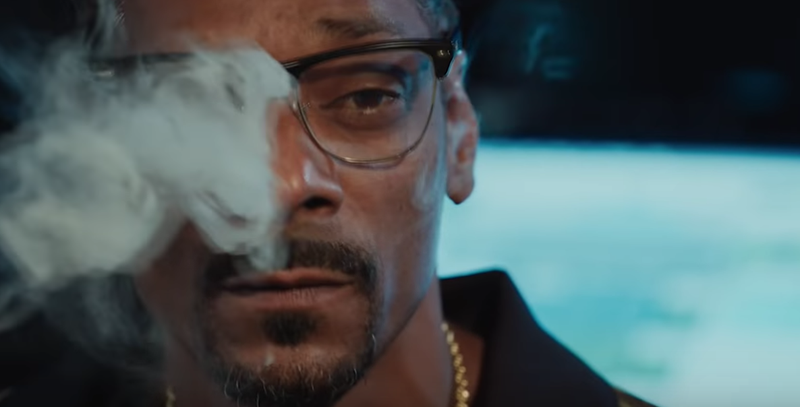 Grass Is Greener features some of America’s professed stoners, one of which is none other than Snoop Dogg. As an artist heavily influenced by the drug, he aims to show how art, music and weed all connect. The documentary will also show how the drug has affected Black and Latino communities over the years, and the struggles people of color face when contributing to the growing legal marijuana industry. “We’re not the war on drugs, we’re fighting the war on drugs,” Snoop muses, aptly, in the new trailer. “My hope, as I light one up on 4/20, is that this film will entertain, educate, and enlighten people across the country and around the world about the rise of marijuana, the racially motivated reasons behind its initial criminalization, and the economic ramifications that continue to affect entire races of people,” Freddy, who is a self-proclaimed “longtime cannabis advocate,” said in a press release. Grass Is Greener premiers on Netflix on April 20, naturally.